I got asked if i could post some sandwich topping ideas and i know loads of them!! Though i never really make them, i stick to the simple just butter/spread or avocado and cottage cheese or egg and caviar (typical swedish!). 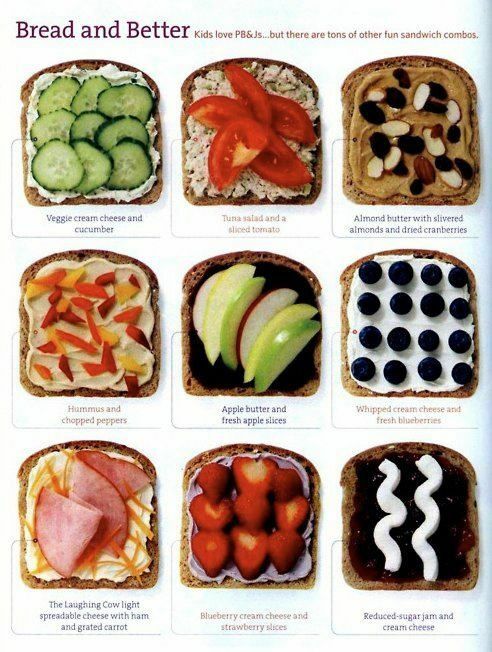 But here are some suggestions and feel free to share YOUR favourite sandwich toppings! Home made pizza i.e bread with tomatoe sauce, cheese and toppings = into the oven or microwave! Wraps with cajun chicken and salad! I ve read your blog and i just must write this - you are wonderful. thanks for everything! Yumm!!! That sounds delicious, banana and Nutella is a good combo as well! Haha does sound a little strange, but can't say no till I've tried it!